If you have been thinking of replacing or repairing the roof of your commercial establishment, you must take the help of professionals. While there are several types of commercial roofing systems available, you may choose a commercial single ply roofing system, as they provide several benefits over other types. 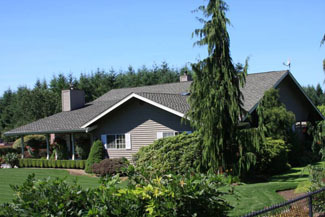 Johnson Exteriors, Inc. is a reputed company that offers high quality services for commercial low slope roofing in Maple Valley, WA. As an established and experienced company, we ensure that you choose the best roofing for low slope roofs as they do not need frequent repairs or replacement. We recommend low slope roof treatments that allow human traffic when providing commercial low slope roofing, as this makes it easier to keep the roof clean. If you wish to get any commercial roofing information, you can talk to our consultants. The ease of use and competitive pricing has made commercial single ply roofing systems very popular. You can get commercial single ply roofing details from our experts if you are unaware of how they work. As there are several commercial single ply roofing types, you may need to take the help of professionals to help you choose the best one. 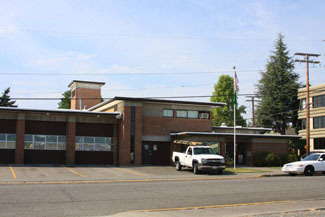 We have been offering installation of commercial single ply roofing systems for Maple Valley residents for a long time now. You can take the details of our costs and installation services from our experts. They will assess your property and then provide an estimate of the proposed commercial low slope roofing costs. 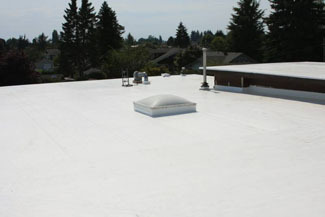 There might be several companies offering services related to single ply roofing systems in Maple Valley. However, to ensure that you are getting the best services and the most competitive pricing, you must do your research. You can compare our single ply roofing costs with others to ensure that you are getting the best deal. Feel free to call Johnson Exteriors, Inc. at (360) 226-2521 for any services related to commercial low slope roofing in Maple Valley.